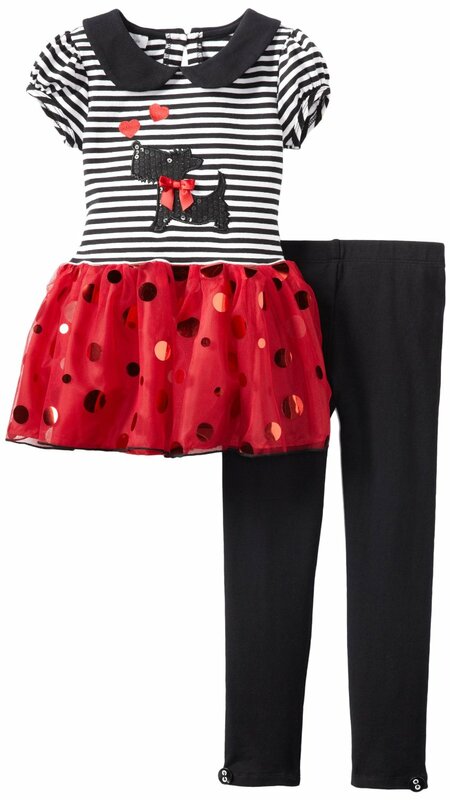 Adorable black and red Scottie Peter Pan tutu style tunic and legging set features detailed Scottie applique on short sleeved tunic, with soft layers of red dot tulle hem. Matching polka dot cotton spandex leggings complete the look. Machine wash.